I am a great lover of documentaries and can watch one on any subject under the sun and be enthralled with it. It is for this reason I find Netflix and Amazon Prime outstanding resources. The catalogue these two posses is vast and deep. Recently I’ve gone somewhat of a binge of documentary watching and I have come across some fascinating and moving ones. I plan to write about them all here in the near future so fear not. The first I want to talk about is the most recent one I watched entitled simply, Salinger. It is possibly the most comprehensive look in to the famed and reclusive writer J.D. Salinger. I covers quite possibly Salinger’s entire life through the voice of friends and people he influenced. With pictures and footage never seen of the man and his struggle with himself as a writer. His painful secrets and determination to remain out of the public eye and let his work speak for itself you really get a sense of the man. Always having the desire to be a writer and follow in the footsteps of his hero, Ernest Hemingway drove Salinger his whole. Published in several magazines and acclaim for his stories did not bring him the satisfaction one would think because of his desire to be published in the esteemed New Yorker magazine which had rejected his work for years. Salinger was finally accepted to The New Yorker in late 1941 with a short story about a young teenager named Holden Caufield, until Pearl Harbor struck and the story was deemed it didn’t fit the mood of the country at that time. 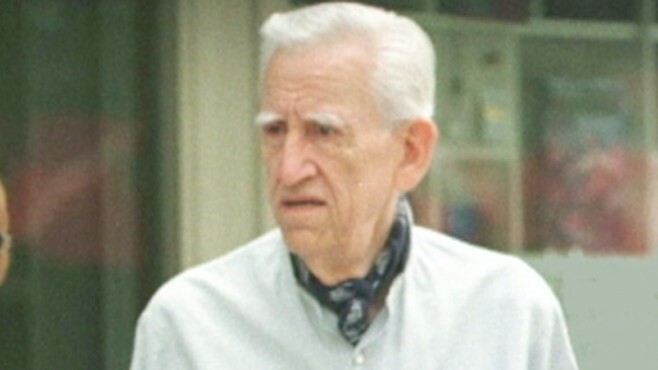 Salinger then spent years attempting to enter the army and fight during WWII and was eventually accepted and immediately sent to Utah beach for D-Day. The events he would witness during the war would change him forever and shape his crown jewel of work, The Catcher And The Rye, of which the first six chapters were in his back pack as he stormed the beaches that day. Salinger would return home and continue his writing and the many love affairs with women that would be part of his life forever. 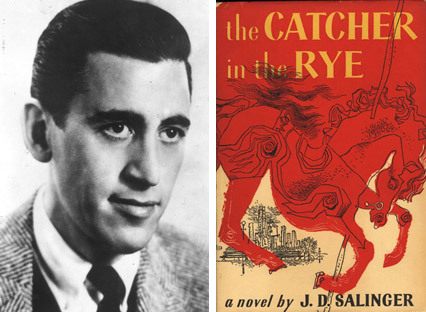 He would marry and divorce a few times and have his young women in between but all of that would be over shadowed by his defining moment in 1951 when The Catcher In The Rye would be published. It would be his only novel and during the revolution of the 1960’s would take on a whole new meaning and life. The novel would identify with so many youths and change so many lives. 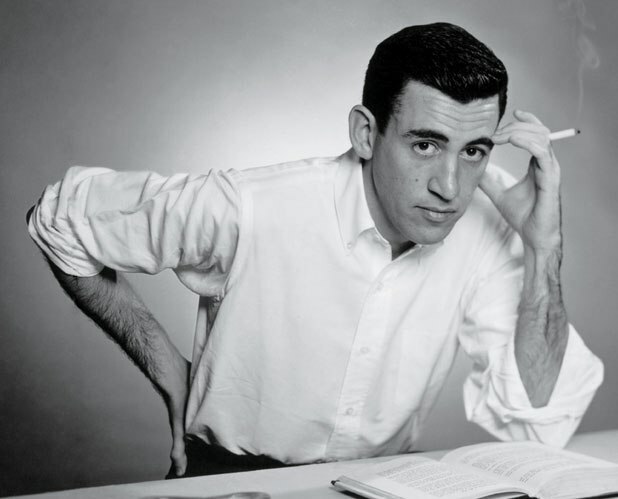 Salinger published his last short story in 1965 and would lead a quite almost reclusive life until his death in 2010. Fans would attempt to track him down and ask life questions they thought he knew the answers too. The few that did confront him would soon discover he wasn’t an answer man, as he would tell them, he was just a fiction writer. Salinger never stopped writing, almost to the point of obsession. He also never stopped having his affairs and enjoying the company of young women. The documentary is a fascinating look into the mind and life of a man that was just a brilliant name to me before and really made him more human and even tortured look at him. It was as inspiring as anything as well because it showed that everyone has something in them that can be brilliant and change the world. He wrote what he knew and discovered people knew that too but didn’t know how to express it. He expressed things for millions of fans and readers. His unpublished work is set to be released between 2015 and 2020 and various times.